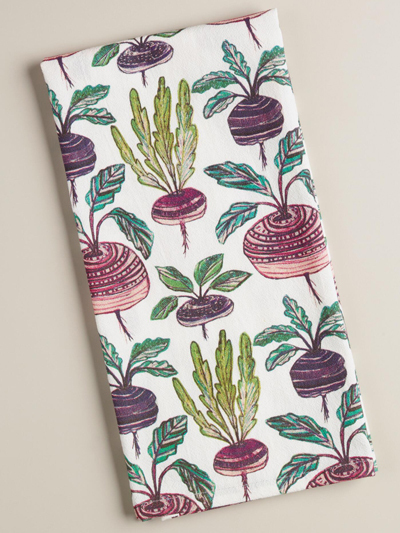 Neat rows of root vegetables give rustic flavor to these Turnip Flour Sack Kitchen Towels, printed on flour sack cotton in fresh shades of purple and green. Set of 2. $11.98. Buy here.